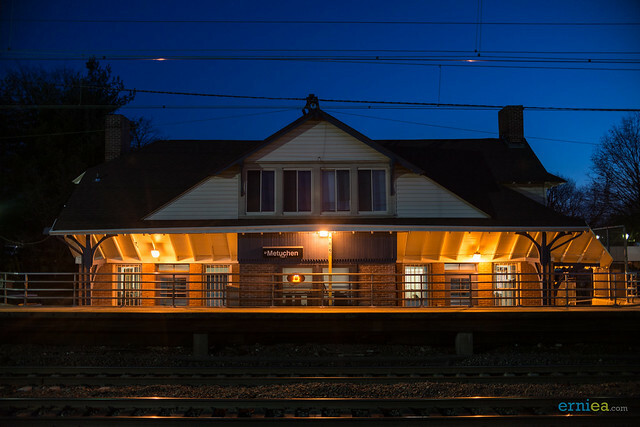 This article focuses on the historical significance of three of New Jersey’s most influential railroads: the Pennsylvania, Reading, and Lehigh Valley; and how they influenced the social, cultural, and physical development of Metuchen and the greater Middlesex County, New Jersey area. The Pennsylvania Railroad (PRR) catered to the passenger, while the main goal of the Lehigh Valley Railroad (LVRR) and Reading Railroad (Reading RR) was to transport its vast coal deposits from eastern Pennsylvania to New York and New England markets to fuel the homes and industries of the northeast. The importance of the Perth Amboy, New Jersey area as a terminus for the LVRR and Reading RR, and the role of coal in the industrialization of the region are discussed. The railroad fostered residential and industrial development throughout Middlesex County, which benefited from the fact that all three of these railroads pass through its borders. This narrative looks at how the railroad transformed the small agrarian-based community of Metuchen into a thriving suburb of the greater New York City area. It highlights some of the industries that were created and benefited from the existence of the railroad. The engineering involved in creating the various rail lines is also examined as well as the physical impacts they had on the existing road network and future highway construction through Metuchen. Through a 999-year lease, which began in 1871, the PRR obtained control of the United New Jersey Railroad and Canal Company, more simply known as the United Companies, which consisted of all the properties of the Camden and Amboy Railroad Company (C&ARR), the Delaware and Raritan Canal Company (D&R Canal), and the New Jersey Railroad and Transportation Company (NJRR). The United Companies comprised three of the earliest transportation companies chartered in New Jersey, each having a goal to transport both passengers and freight between Philadelphia and New York. The C&ARR was the first railroad to operate in New Jersey and the third in the nation. It was conceived during the 1820s, a time when proponents of the railroad and those of the D&R Canal were at odds. In 1831, it was decided that the railroad and the canal companies would merge into one entity known as the “Joint Companies.” The railroad would carry passengers, box freight, and express goods, while the canal would be used for the transportation of heavy and bulky freight including coal. Construction was completed in 1834 for both the C&ARR and the D&R Canal. The canal extended between Bordentown and New Brunswick, New Jersey, while the railroad stretched from the Camden waterfront opposite Philadelphia to the Raritan Bay at South Amboy, New Jersey. Negotiations between the Joint Companies and the New Jersey legislature in 1832 resulted in a law that prohibited the chartering of any other railroad’s construction, having direct access between Philadelphia and New York, for the next 30 years. 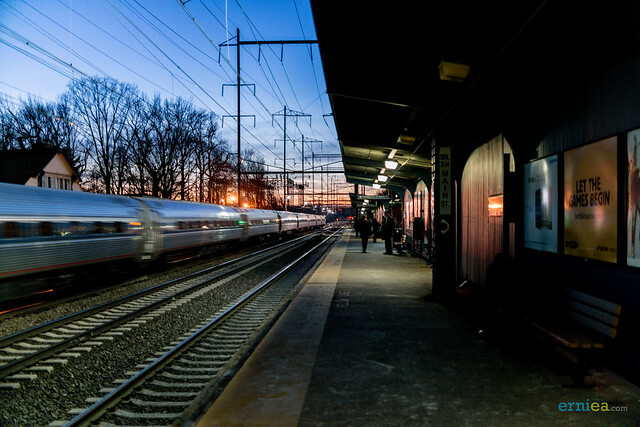 It was not long before competitors emerged to challenge the Joint Companies control of the Philadelphia-New York transportation corridor. In 1835, the Philadelphia and Trenton Railroad (P&TRR) constructed a railroad through Pennsylvania along the shore of the Delaware River between northeast Philadelphia and Trenton with a goal to connect with the NJRR that would extend between Jersey City and New Brunswick. 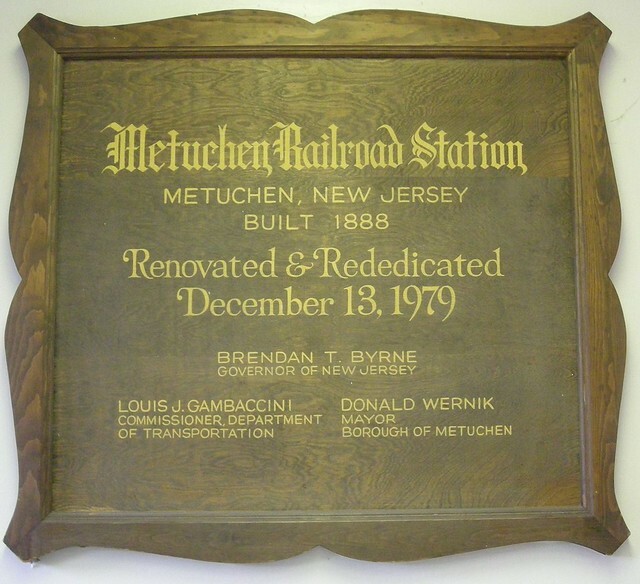 The NJRR was completed shortly thereafter and had a stop at Metuchen. The Joint Companies initially responded with a lawsuit challenging the P&TRR’s charter application, but fearing an unsuccessful outcome, they acquired controlling interests in the P&TRR. The Joint Companies completed the connection between the P&TRR and NJRR in 1839 by constructing a railroad beginning in Bordentown, following the D&R Canal as far north as Kingston, and continuing on to New Brunswick, New Jersey. For nearly a quarter of a century, travelers bound for New York and Philadelphia on the C&ARR used ferries to complete the trip between Camden and Philadelphia, and South Amboy and New York City. The first all-rail route between New York and Philadelphia was not completed until 1863 when the PRR made a connection with the P&TRR bringing passengers directly to center city Philadelphia. 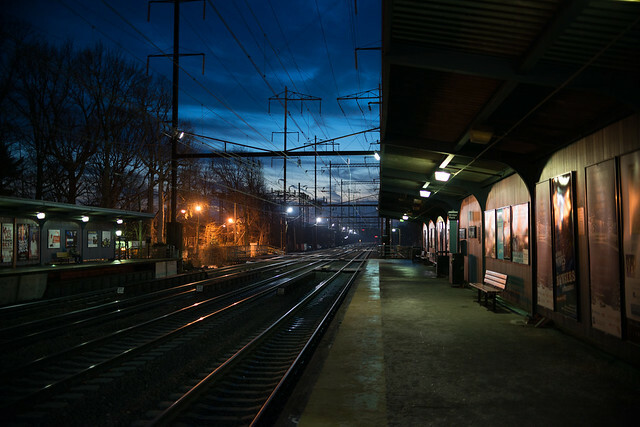 Now connected with the extensive PRR system, the Philadelphia-Trenton-New Brunswick-Jersey City route became the most heavily traveled of the various alternative lines in the Philadelphia-New York corridor. Throughout the remainder of the 1860s, the PRR desired to move increasing volumes of passenger and freight over the lines of the Joint Companies to New York. In 1867, the Joint Companies merged with the NJRR to form the United Companies. After negotiations with the PRR, the United Companies leased its properties to the PRR. The lease secured for the PRR its first line terminating upon the Hudson River at Jersey City directly opposite New York. In addition, the lease included the coal depot of the former C&ARR located in South Amboy. River to Easton, Pennsylvania, using a system of slack water pools and canals collectively known as the Lehigh Canal. By the early 1830s, coal was transported to Philadelphia by way of the Delaware Canal (constructed in 1832), and to New York along the Morris Canal (completed in 1836). This system was highly dependent on weather conditions. Since the canals would freeze during the winter months, they were closed and partially drained. The advent of the railroad changed this dependency and off ered a more profi table way to ship year round. In 1855, under the direction of Asa Packer, the LVRR constructed a railroad between Mauch Chunk, Pennsylvania and Phillipsburg, New Jersey where it connected with the Central Railroad of New Jersey (CRRNJ) and the Belvidere Delaware Railroad (to Trenton). The CRRNJ had completed a line between Phillipsburg and Elizabeth, New Jersey three years earlier and to Jersey City in the early 1860s. Up until 1875, the LVRR was highly dependent on both the CRRNJ and the Morris Canal to transport its coal to New York. By the late 1860s, Asa Packer devised a plan to build a direct line to tidewater. In 1871, the company took its fi rst steps to end its dependency on the CRRNJ when it leased the Morris Canal, which included waterfront property at Jersey City a short distance to the north of CRRNJ’s port facility. Utilizing the terminus of the canal as an ending point, the LVRR planned to construct a connection to Pennsylvania through its acquisition of the New Jersey West Line Railroad, which also included Jersey City waterfront sandwiched between the Morris Canal Basin and the CRRNJ’s terminal. The venture failed in the face of stiff opposition from the CRRNJ and the Delaware Lackawanna and Western Railroad. The LVRR’s desire to build its own line directly to New York remained in litigation into the late 1880s. In the interim, the LVRR sought an entirely new route across New Jersey. It acquired the charter to the yet-to-be-built Bound Brook and Perth Amboy Railroad, and also secured a new charter for the Bound Brook and Easton Railroad. In 1872, the LVRR merged the two charters to form the Easton and Amboy Railroad. The line traveled in a southeasterly direction from the Phillipsburg area, passing through Metuchen on its way to Perth Amboy, where the company established a large coal depot. This location was readily accessible to the waters of New York Bay and New England ports by large vessels. Perth Amboy remained the LVRR’s tidewater port from 1875 into the early 1890s. During this period, the company continued its quest for an all overland route to Jersey City. Ultimately, the company had to charter three separate extensions during the 1880s, from a junction of its main line at South Plainfield, before the goal was finally realized. That portion of the original main line between South Plainfield and Perth Amboy continued to operate as the LVRR’s Perth Amboy Branch Line. and up the Arthur Kill to the port of New York. Similar to its competitor, the LVRR, the Reading RR also sought an overland route during the 1870s to the New York Harbor. The Reading RR initially relied on the CRRNJ for part of its route. In 1879, it leased both the North Pennsylvania Railroad [a line from Jenkintown to Yardley, PA] and the Delaware and Bound Brook Railroad (D&BBRR) [West Trenton to Bound Brook, NJ] both of which had been recently completed. At Bound Brook, the D&BBRR connected to the CRRNJ, which was utilized to complete the trip to New York, a situation that continued into the early 1890s. The Reading RR ended its dependence on the CRRNJ in 1892 with the construction of the Port Reading Railroad (Port Reading RR). From its connection with the D&BBRR at Bound Brook, New Jersey, this new line extended in an east-west direction through the northern limits of Metuchen on its way to the tidewaters of the Arthur Kill where it established a coal depot at what became Port Reading. Unlike the PRR’s New York Division and the LVRR’s Perth Amboy Branch, the Port Reading RR was used strictly for the transportation of freight (primarily coal) and had no passenger service. 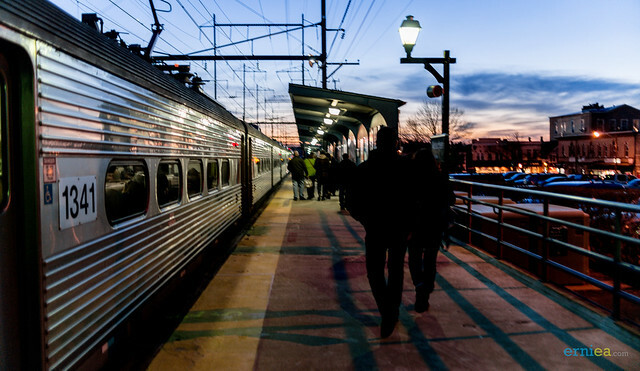 The line had no stops between Bound Brook and Port Reading. Although the completion of the Port Reading RR allowed the Reading Company to run its cars over its own tracks for the first time to the New York Harbor, it also sought control of the lines of the CRRNJ. In 1901, the Reading RR purchased a controlling interest in the company. Afterward, the two lines operated independently though in close cooperation. During the Industrial Revolution the coal-fired steam engine played a significant role in a period when the United States was transformed from an agrarian society to an industrial power. During the first half of the nineteenth century, steamboats and steam-powered railroads were becoming the chief forms of transportation and the steam engine began to be used to power mills, especially in large cities. In the second half of the 1800s, additional uses for coal were found. Coke, produced by superheating coal to remove impurities, replaced charcoal as the primary fuel for iron blast furnaces to make steel. In addition, the gases created during the conversion of the coal to coke were captured at gas works and piped below city streets and used for lighting. Ultimately, coal-fi red engines were used to generate electricity and gas lighting was replaced with the light bulb. The electrically driven motor became the dominant source of motive power in factories. To feed this appetite, shippers initially moved coal from the anthracite mines of southeastern Pennsylvania to Philadelphia and New York by way of canals. The Lehigh Coal and Navigation Company, the predecessor to the LVRR, made use of the Pennsylvania’s Lehigh and Delaware Canals to bring coal to Philadelphia and the Morris Canal to New York. The Reading Company utilized the Schuylkill Canal to Philadelphia and New Jersey’s D&R Canal to New Brunswick and on to New York. By the 1850s, railroads emerged as the preferred method of transportation. Several coal processing facilities were established at tidewater in the immediate vicinity of the Port of New York. Jersey City, New Jersey became a major center for railroad terminals due to its proximity to lower Manhattan. By the turn of the century, nearly the entire western shore of the Hudson River at Jersey City between present Liberty State Park and Hoboken was dominated by rail yards. Large tracts of land were required to store and process coal and with land at a premium in Jersey City some railroads were forced to establish coal barge facilities to the south within the Raritan Bay area. The PRR’s main coal facility was at South Amboy at the terminus of the former C&ARR, while the LVRR occupied land at Perth Amboy. The Reading RR set up a short distance to the north at Port Reading. In addition, smaller coal depots were established inland such as the LVRR’s South Plainfield depot and the PRR’s Old Bridge, New Jersey facility. The cities of the New England states were also important markets for coal. Direct rail service between the Pennsylvania coal fields and New England did not exist prior to 1889. Coal shipped along the coast from the various New York Port coal terminals was a lucrative business for the railroads. Collectively in 1910 the PRR, LVRR, and the Reading RR shipped nearly 44 million tons of coal over its lines and in 1915, 65 million tons. Among the three, the Reading RR was the largest shipper followed by the PRR and the LVRR. Railroads continued to ship coal throughout the first half of the twentieth century, but as alternate fuel sources became available (i.e., oil and gasoline) the demand for coal was reduced. LVRR closed its Perth Amboy depot in 1954, while the Reading RR continued shipments from its Port Reading depot into at least the late 1960s. 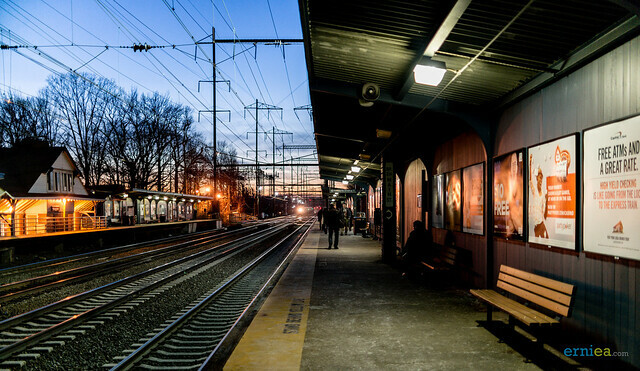 Since the early 1800s, Middlesex County has benefited from being centrally located within New Jersey in direct line between Philadelphia and New York. The nature of the social, economic, and political life within the county was altered with each new transportation development. Construction of early turnpikes, canals and railroads all improved the ability to transport people, raw materials, and finished products. The advantages offered by each mode of transportation had a significant role in the location and development of residential communities, commercial establishments, and industrial factories. The county’s easy access to Pennsylvania coal enhanced its desirability as a location for industry. Long before the iron horse plied through Middlesex County, bringing scores of passengers to and from metropolises, and tons of coal to fuel the homes and industries of the northeast, these lands were home to prehistoric Native Americans. Archaeological excavations conducted in 2007 in connection with the replacement of the N.J. Route 27 Bridge over the former LVRR discovered evidence of prehistoric occupation at the site of the former Amboy Avenue railroad station. The types of artifacts, which included stone tools, fragments of pottery and evidence of a possible hearth, suggest that Metuchen was occupied by Native Americans as early as the Woodland period (circa 1000 B.C.-1600 A.D.). The archaeological evidence indicates that the site was either a seasonal encampment or used for semi-permanent occupation. It is not known for certain, but this area appears to have remained a place of interest for prehistoric inhabitants into the seventeenth century. 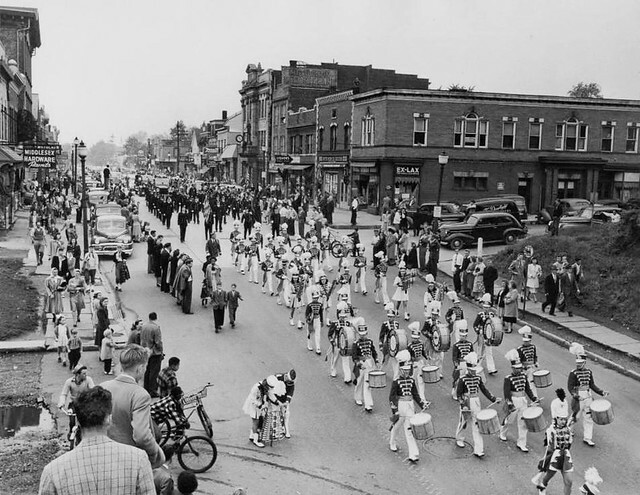 Tradition states that Metuchen derives its name from an Indian chief, “Matouchin,” who is believed to have inhabited this area just prior to the arrival of European settlers. Initial European settlement within Metuchen centered around a Presbyterian Church established in the early eighteenth century near the intersection of Main Street and Woodbridge Avenue. Maintenance of early roads fell under the jurisdiction of local townships. They were not always well maintained, so travel along them was hazardous at times. Turnpikes on the other hand were privately funded and offered the traveler, albeit for a fee, a smoother ride. Metuchen was fortunate to have two such roads constructed in proximity to the village during the early 1800s: the Essex and Middlesex Turnpike (present-day Middlesex Avenue) laid out in 1806, and the Perth Amboy and Bound Brook Turnpike (present-day Amboy Avenue) constructed in 1808. Commercial establishments located themselves at crossroads to take advantage of the through traffic. Metuchen remained a small village into the early 1830s. In addition to the church, it contained two taverns, a store and about a dozen dwellings at this time. Development within the community was significantly stimulated during the late 1830s as a result of the construction of the NJRR, which initially connected New Brunswick with Jersey City, with a stop at Metuchen. The linking of additional railroads by 1840 allowed for passengers and freight to be transported between Philadelphia and Jersey City. Within ten years of the arrival of the railroad, the population of the village more than doubled. Most commercial development intermixed with some residential building occurred in proximity to the two established depots. By 1850, a freight depot was established near the intersection of Middlesex and Amboy Avenues, and a passenger station was erected where the rail line crossed at Main Street. Commercial development focused north of the Main Street station, where two and three-story buildings were erected having businesses on the fi rst fl oor, while owners and tenants resided above. A second general store was established and enough families settled here requiring the need for Metuchen’s fi rst schoolhouse. Additional secondary roads were constructed throughout the area, which allowed farmers to cart their goods to the village where they could either be sold locally or loaded onto freight cars and shipped to city markets. In 1871, the NJRR was taken over by the PRR, and a second railroad, the Easton and Amboy Railroad, was constructed through the village in 1875, operated by the LVRR. The railroads stimulated additional residential growth along existing roads radiating outward from the center of the village. By the mid-1870s, the former farmlands that surrounded the village had been acquired by real estate investors who laid out additional streets and subdivided the property into building lots in anticipation of future residential development. When the LVRR constructed its line through Metuchen during the early 1870s, it made a connection with the PRR so it could run its passenger trains into Jersey City via the PRR. As a result, the PRR moved its passenger services to the junction and built a new station at the foot of Lake Avenue. Although passenger service was ancillary to the LVRR, the company erected its own passenger station and a separate freight depot at Durham Avenue in 1879. 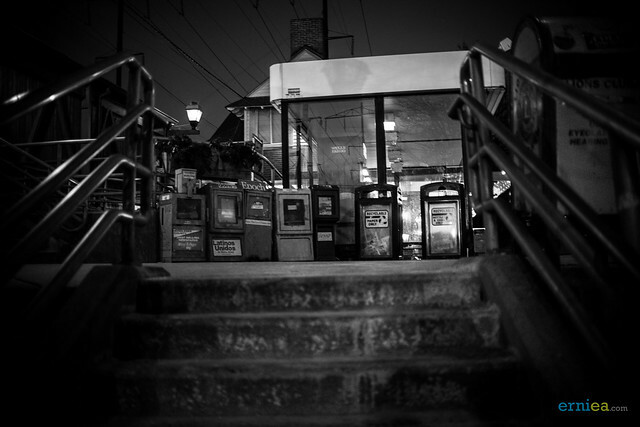 A few years later it constructed a second passenger station in Metuchen at the corner of Lake Avenue (Route 27) and Amboy Avenue. Called Amboy Avenue Station, the new building offered a convenient connection with the PRR’s corresponding Lake Avenue station located just one block to the north. The PRR’s passenger and freight facilities moved for the last time as a result of the elevation of its line though Metuchen during the late 1880s. The PRR moved its passenger facilities back to Main Street at its present location and at this time constructed a new freight depot one block to the southwest. In 1900, Metuchen’s population was nearly 1,800, 25% of whom commuted daily to New York City. The village had its own coal-fired electric generation plant operated by the Central Electric Company. An abundant supply of coal was available at the LVRR’s South Plainfield coal depot located three miles outside the village. Limited passenger service along the LVRR’s Perth Amboy Branch through Metuchen continued into the early 1930s. The PRR offered service throughout the remainder of the century. 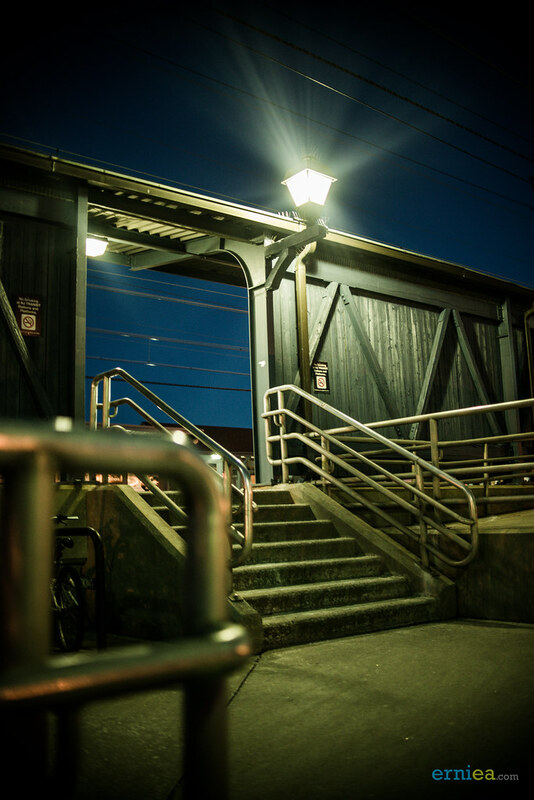 Its Main Street Station presently serves as Metuchen’s stop along New Jersey Transit’s Northeast Corridor. 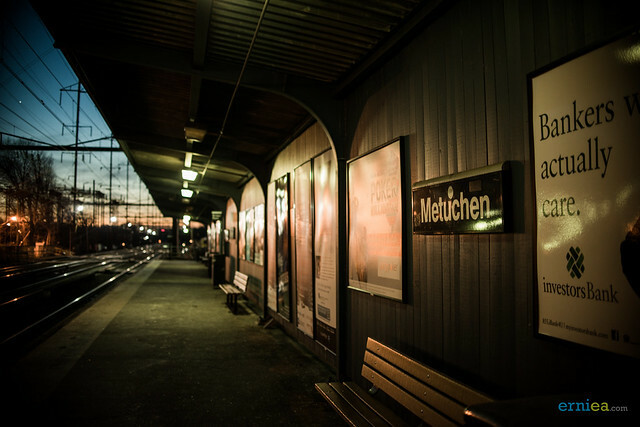 Metuchen was mainly a residential community, but a few early industries did make their home here and immediately outside the village to take advantage of the services off ered by the railroads. During the 1920s, the two main industries in Metuchen were the Artcraft Ceramic Company, manufacturer of porcelain toys, and the Empire Floor and Wall Tile Company. Another tile works had been established at nearby Menlo Park by 1903 and a rubber manufacturing company built a factory a mile to the south of Metuchen along the PRR’s Bonhamton Branch. The General Ceramic Company erected a factory approximately a mile to the east of Metuchen on the LVRR by 1920. The clay used by Metuchen’s ceramic and tile companies was transported on the LVRR, which had constructed spur lines to the numerous clay mines located on the north bank of the Raritan River to the southeast of the village. During the fi rst half of the nineteenth century, the clay deposits along the Raritan drainage were primarily used for the production of brick. Prior to the LVRR, clay-mining companies utilized the Raritan River for their transportation needs. Clay was transported by rail cars towed by mules or horses along short rail lines that connected the clay beds with the bank of the Raritan River, where the clay was loaded onto boats to be transported to market. By the 1880s, some brick manufacturing companies switched to the production of terra cotta. The clays of this region were considered to be superior to any other clay in the world for making architectural terra cotta. One of the most well known terra cotta manufacturing companies, the Atlantic Terra Cotta Company, was located in Perth Amboy, having a connection to the LVRR just south of its coal depot. The company supplied terra cotta for such notable buildings as the United States Supreme Court, the Philadelphia Museum of Art, and the Woolworth Building in New York. Further industrial and residential development was stimulated within Middlesex County as a result of the LVRR’s extension of its line to Jersey City and the establishment of its South Plainfield coal depot during the early 1890s. In 1910, the Spicer Manufacturing Company moved its truck and auto universal joint and drive shaft business from Plainfield to South Plainfield to be closer to the railroad. Other large industries that established themselves in South Plainfield were Harris Steel in 1915 and the Rock Wool Corporation in 1936, manufacturers of home insulation products. 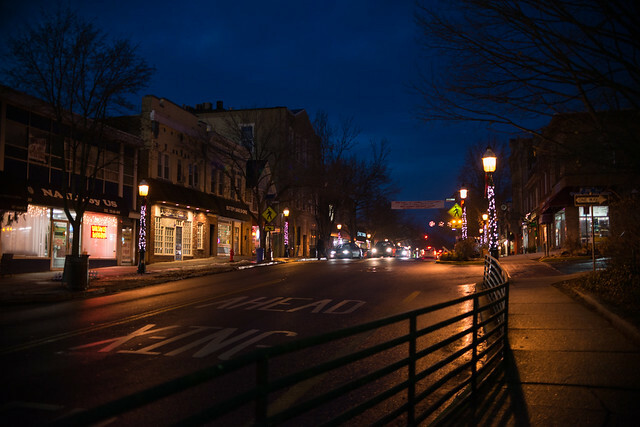 Metuchen, which falls close to the division between the Piedmont and Coastal Plain physiographic provinces of New Jersey, is located on a small ridge that forms part of this boundary. The ridge extends in a general northeast-southwest direction having changes in elevation between 60 and 160 feet above sea level. These significant elevation changes made for challenging engineering for the railroads that passed through this area. The path of the NJRR/PRR, which traveled along the ridge, took the path of least resistance by closely following the river valley created by the South Branch of the Rahway River. In contrast, since both the LVRR and the Reading RR traveled across the hillside, a series of deep cuts (excavations through the ridge) and fills (low areas where the line was placed on fill) was employed to navigate through Metuchen. The cuts allowed for both of these railroads to pass under the PRR. Initially, a series of at-grade crossings were created where the NJRR intersected with Metuchen’s existing roads. The railroad was later elevated by the PRR, which allowed for vehicular traffic to pass beneath the line. In the case of the LVRR and the Reading RR, the railroads erected wooden truss bridges to carry roadways over the cuts created during construction. Over time, partly due to the maintenance issues of wooden bridges, which within five to 10 years had to be rebuilt, and because of the ever increasing load demands placed on them, the bridges were replaced with more durable types such as the steel plate-girder bridge and the concrete-encased steel stringer bridge. Wooden bridges in proximity to railroads were also subject to damage by fire as was the case with the original Middlesex Avenue over-grade crossing of the Port Reading RR. It was destroyed by a fire in 1909, believed to have been started by a spark from a passing locomotive. 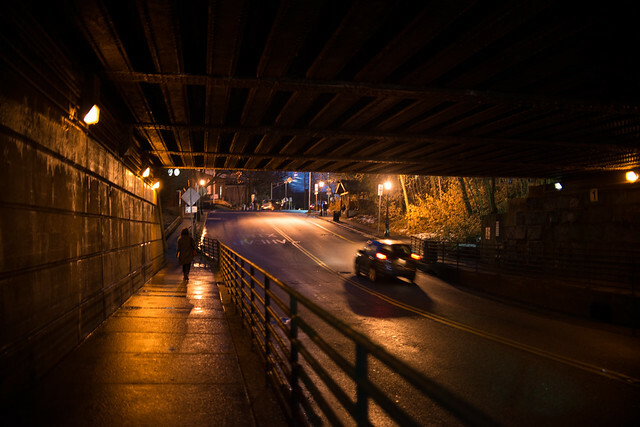 Due to the importance of Middlesex Avenue as the main north-south thoroughfare through the county and to limit such accidents in the future, the old bridge was replaced with one composed of steel. In 1913, the nation’s first transcontinental highway, the Lincoln Highway, was built. The highway stretched from New York to California. Within Middlesex County, the route followed the general route of the former Essex and Middlesex Turnpike (present Middlesex Avenue/N.J. Route 27). In Metuchen, Lake and Essex Avenues were utilized as a bypass to avoid the railroad crossings of the PRR and LVRR. In 1917, upon the enactment of the New Jersey State Highway System, the Lincoln Highway became part of Route 1. As part of the roadway improvements, a new bridge was proposed at Metuchen to carry the highway over the PRR, thus eliminating the need for the Metuchen bypass. However, likely due to engineering difficulties posed by the various railroad crossings the bridge was never erected. In 1925, federal and state officials introduced a new highway numbering system. At this time the Lincoln Highway (Route 1) was re-designated as State Route 27. For the next four years, this highway remained the primary north-south corridor from New York to Philadelphia. In 1929, Route 25 (present-day Route 1) was constructed. Within Middlesex County, the new highway paralleled the Lincoln Highway, passing a short distance to the east of Metuchen. After its completion, much of the automobile traffic was diverted to this new route, leaving Route 27 to become used as a secondary highway. This piece is the product of historical and archaeological investigations undertaken for the New Jersey Department of Transportation and Federal Highway Administration in mitigation of the eff ects of the replacement of the Route 27 Bridge over abandoned Conrail South Plainfield Branch (former Lehigh Valley Railroad) and the Route 27 Section 6L Bridge over Port Reading Secondary Railroad (former Port Reading Railroad) in the Borough of Metuchen, Middlesex County, New Jersey. The preparation of this booklet was conducted in compliance with Federal and State historic preservation laws and regulations. This was authored by Michael Tomkins with assistance from Philip Hayden and Glenn Modica of Richard Grubb & Associates, Inc.
4-on-1 Painters on Canvas, LIVE!